Take a break from the office! Break away from the busy city and relax in the calming environment of the Drakensberg Mountain Retreat. This is an ideal venue for conferencing and company breakaways. With an obliging staff ready to serve you, you will be able to attend to the more important matters of business. 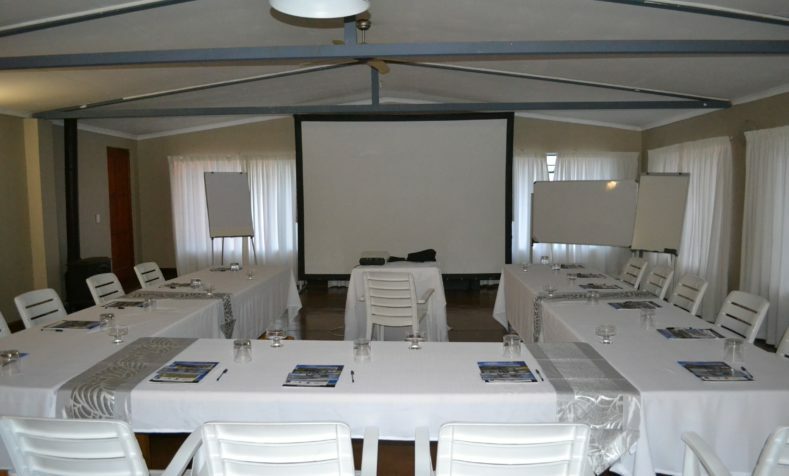 Drakensberg Mountain Retreat offers the perfect conference facilities for any group event. We offer a conference room attached to the Barnhouse which measures 8m X 15m and has a small fireplace. It is a lovely airy room with beautiful views of the Drakensberg Mountains. The Lodge which caters for a full English breakfast and a 3 course candlelit dinner. Our cooks provide delicious home style meals. Lunch is an optional extra. We have two facilities Zonderntwyfel Barnhouse and the Vergezient Lodge. Company or corporate groups can book either one or both of these buildings for their exclusive use. Please contact our management with regards to the conference equipment you require. The Barnhouse has 5 en-suite rooms, sleeping 12 people and 4 dormitory-type rooms that can accommodate 13 people (Total 25 people). The 4 dormitory rooms use 2 separate ablutions, each with showers, toilets and basins. The Barnhouse has a spacious dining room with a wood-burning stove, 2 comfortable lounge’s with one fireplace, flower-filled conservatories, an indoor pool and a large meeting room. The Lodge has 9 bedrooms and numerous lounges and fireplaces. It is comfortably furnished and blends rustic charm with old fashioned elegance. The Lodge has tastefully decorated en-suite bedrooms and a number of bedrooms have their own lounges; some with fireplaces. The views from the Lodge and Barnhouse are spectacular. They offer generous and comfortable spaces with a 100km long panoramic view of the central and northern Drakensberg including the Amphitheatre and Royal Natal National Park. It is said to be one of the best views of the Drakensberg. Please make direct contact with our management for conference rates.